Boundless. A site seeking to support singles in living their lives for the glory of God. Monergism. A center that has connections to a wealth of internet resources on the Reformed tradition of the Christian faith. Gospel Coalition. A massive amount sermons, articles and more by pastors that are committed to a gospel-centered approach to ministry. The Counsel on Biblical Manhood and Womanhood. Council that is focused on defining and defending the Biblical definition of manhood and womanhood. 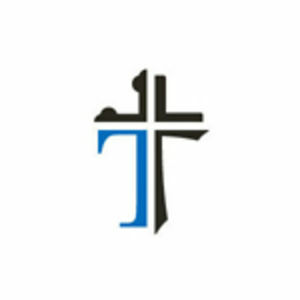 Christian Counseling & Educational Foundation (CCEF). Counseling from a Biblical perspective. Sovereign Grace Ministries. A network of Reformed Charismatic Churches. Enjoying God Ministries. Resources from Dr. Sam Storms. IX Marks. Resources that aid church leaders to grow their churches into health congregations. Eternal Perspective Ministers. Resources from Randy Alcorn. Indelible Grace. Old Hymns put to a folkish and light rockish style. Red Mountain Church. Old, mainly unknown hymns put to a folkish style. Sovereign Grace. Doctrinally sound music put in a contemporary style. Gettys. The people who gave us the song “In Christ Alone.” They have many other great titles put in a contemporary style. FLAME. Excellent Christian Rap. I also go to school and church with this guy! Sha Linne. Excellent Christian Rap as well. Thank you for the link to the puritan library! I have never seen that before and I have a feeling I will be using it many times. I found your website through the Rebelution forum and am enjoying your insights. May God bless you wherever you go! You are welcome Rachel! Ands thanks for the blessing. I hope that my blog will continue to be helpful to you.